Brazilian jiu-jitsu is a grappling martial art with the primary goal of being able to get your opponent to the ground with a takedown or throw, control them with superior position, and then submit them with either a joint lock or a chokehold. With proper technique and strategy, learning BJJ will give you the skills necessary to control and finish an opponent of greater size and strength than yourself. BJJ is a combative martial art for women, men, and children. Our classes allow you to practice with many training partners in a safe and friendly learning environment. 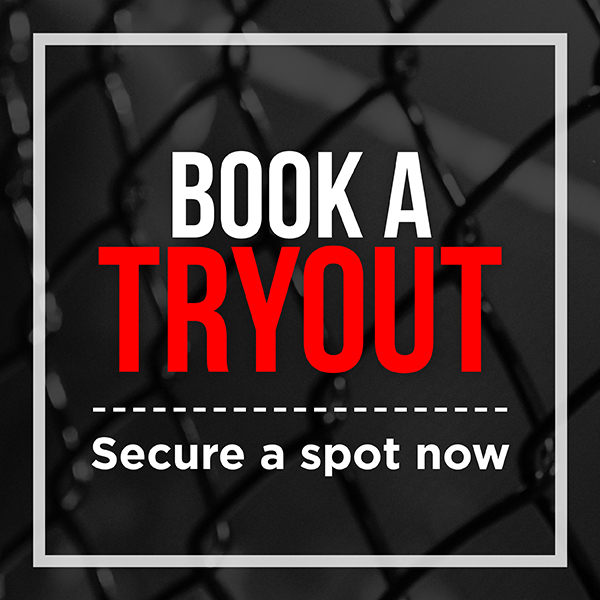 You will learn BJJ through our knowledgeable and experienced instructors who give you hands-on coaching and support. 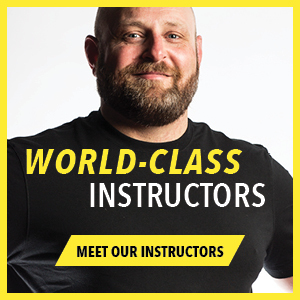 Our classes are focused on helping everyday people succeed in achieving their goals whether that is belt advancement, competition, self-defense, or physical fitness, including improving strength, coordination, and balance. There is no better workout than BJJ. 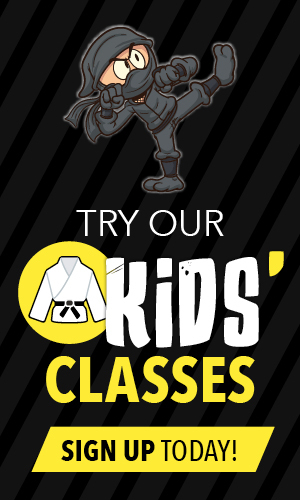 You will get in shape while learning the most effective martial art in the world. The training theories, coaching methods, and technical instruction offered at Champion's Creed is how we have become a world-class club and the place to train in Calgary. We want you to have fun and be a part of our team. 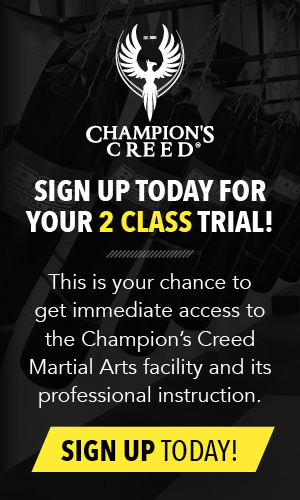 Call today or click to sign up for our 2 Class Trial period. The technique part of the class will teach you submissions, positional dominance, escapes, and combination movements. You will get to practice these techniques in repetition with many different training partners while Black Belt instructors monitor and help you do them safely and correctly. In the class we also go over strategy and theory when using the techniques against resisting opponents of different size and strength. Sparring and drilling are key elements in a Brazilian jiu-jitsu class. Brazilian jiu-jitsu became as popular as it is today due to its realistic training methods where you can spar against a resisting opponent and truly learn how well your skills are progressing, what techniques work, and which ones need improvement. We do several rounds of grappling sparring during a class to provide the student with the real-life experience to prepare them for either competition or self-defense.